The purpose of the TSL is for Mass Youth to partner with its town-based member organizations, in coordination with existing, recognized town travel (MTOC) leagues, to provide opportunities for town registered players to experience a higher level of training, development and competition. We hope to establish a bridge path to higher level state and club programs. The TSL is intended to be an extension of and enhancement to town programs, not competition for them. Need access to your Affinity account? Copy and paste mayouthsoccer.sportsaffinity.com to your browser, enter your username and password, and proceed to your account. Continued participation with friends and peers on their town travel team. Match play occurs in a confined geographic area within regional area and accessible via major highways in the area, setting reasonable limits on time and travel requirements. Players train under the guidance of qualified, committed coaches. Consistent teams and philosophy through fall, spring and optional winter seasons following the US Soccer Federation Player Development Initiatives. Participation in the 2019/20 program will be open to Mass Youth town organizations that are within the existing BAYS, Essex, Middlesex, MAYS and Nashoba Valley league areas. Players may tryout and be selected for a Town Select Team if they are currently registered and participating in their town program. The TSL is designed for players who seek a higher level of training and competition but have decided not to make the commitment to higher level programs at this point. The TSL will use USSF calendar year age group designations. For the 2019/2020 soccer year players born in 2011 & 2010 will be 10U eligible; players born in 2009 will be 11U eligible; players born in 2008 12U eligible players born in 2007 will be 13U eligible; players born in 2006 will be 14U eligible and players born in 2005 will be 15U eligible. Tryouts take place starting in June and will be conducted by Mass Youth Soccer’s Technical Staff. The match schedule will consist of 4 stand alone Sunday matches with the season concluding jamboree of 2 games per team in the Fall and Spring. Teams will practice once per week to minimize disruption of town team practices. Players will have the option to participate in our TSL Winter Indoor training program with other TSL players under the guidance of Mass Youth Soccer. The Winter Indoor Training will entail a separate registration and nominal additional fee. Program fees will include up to 7-8 weeks of coaching each season (fall/spring), one practice per week; 6 Sunday matches and player uniforms. Financial Aid is available and an FA application must be submitted prior to the start of the Fall season. Winter Indoor Training will be a separate nominal fee. Final selection of coaches will be by the DOC and the Mass Youth Soccer Technical Department. TSL Coaches will be independent contractors. Licenses/Diplomas – Minimum requirement is the completion of the US Soccer Federation Grassroots 7 v 7, 9 v 9 or 11 v 11 OR a National D License. 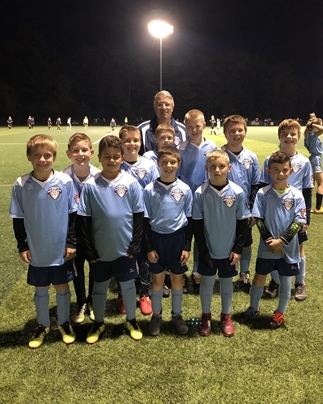 Mass Youth Soccer Requirements – Accomplishing and maintaining all Mass Youth Soccer coaching educational and training requirements on an annual basis. Professionalism – Must be in good standing with all Mass Youth Soccer affiliated organizations (towns, clubs, leagues). This includes no sanctions based on disciplinary actions or persistent history of complaints.